Today’s article is definitely more on a personal level. We try to not each much fast food anymore, but you know how you sometimes just get a hankering. Well, one of those times occurred recently. As I was enjoying my chicken nuggets, I happened to look down and notice one that I had already eaten a bite of was under cooked. Yep, insert face of total disgust here. I was hoping I’d be okay and slept fine most of the night. By the time I woke up in the morning, I wasn’t feeling so great. So, I slept in a bit more. Then, it started. 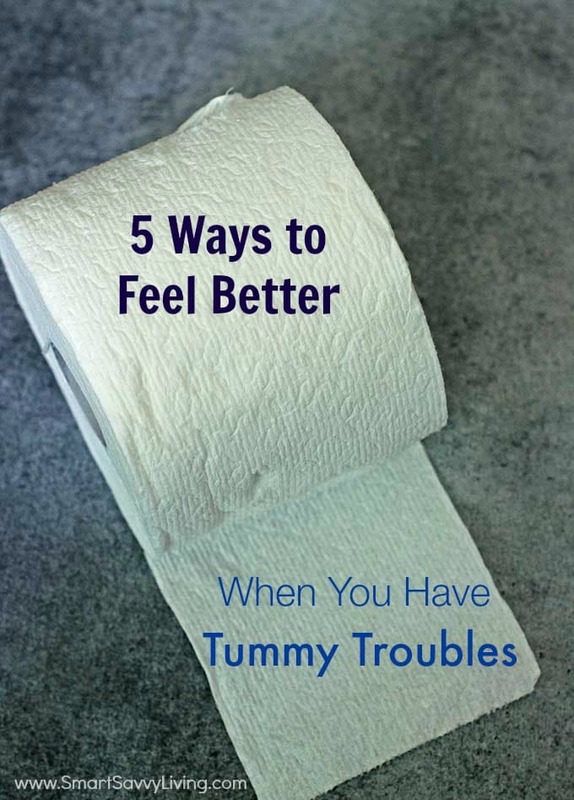 Thanks to Cottonelle for sponsoring today’s post about 5 ways to feel better when you have tummy troubles. It totally could not have been timed better, huh? Yes, all the lovely gas and cramps, followed by nausea and spending most of the day on the porcelain throne. Oh, and don’t forget the period of time I couldn’t even keep water down. So. Much. Fun. I hope to start feeling much better soon, but in the mean time I wanted to share the 5 ways to feel better when you have tummy troubles (I can’t even remember what the commercial was for, but I totally loved that line!) that I’ve been using to stay sane and not want to cry into my pillow. 1. Make sure you’re staying well hydrated. It can be tough to want to drink liquids when you’re constantly in the bathroom, but it’s extremely important to stay hydrated. You’re body needs plenty of liquids to repair itself and get over the illness, plus it will help you cramp less and not feel quite as tired. Please go to the hospital if you feel overly dehydrated! I personally like to drink lots of water and sports drinks that have electrolytes. 2. Be careful what you eat. I usually don’t feel like eating much when having tummy troubles, but you do still need to consume some calories. Remember that things like dairy, oils, and sugar can further complicate your tummy troubles. The BRAT diet usually works well with things like bananas, rice, applesauce, toast and plain crackers. 3. Do something to take your mind off your symptoms. When left with nothing to keep my mind busy, I find it much easier to concentrate on my symptoms and feel even worse. Instead, if I distract myself by reading, watching TV, writing, playing games on a tablet or some other activity, I don’t seem to notice them as much and feel better. 4. Get plenty of rest. Getting a lot of rest and sleep while you’re under the weather definitely helps your body repair faster. Try to sleep as much as your body wants. If you can’t sleep, lounge around doing activities like reading. 5. Keep your bum happy. Okay, so this isn’t the prettiest thought. But, you know how your nose gets super irritated when you are constantly wiping it with tissues? Yeah, that can happen to other areas of the body as well. Yuck. Thankfully, it doesn’t have to! That’s why I am absolutely in love with Cottonelle Clean Care toilet paper and flushable cleansing cloths. I love the Cottonelle Ultra toilet paper because it’s strong enough to withstand whatever you may have going on. Then the cleansing cloths ensure that you are truly clean as can be, plus I love that they don’t leave you feeling overly dry and irritated. 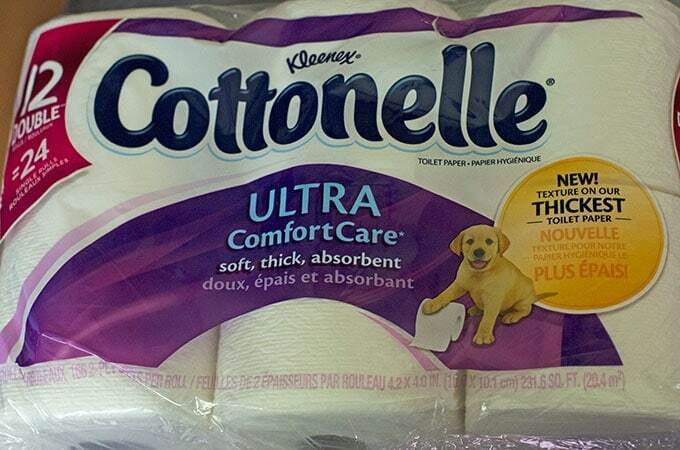 Needless to say, I was very happy I printed out this $1 off Cottonelle toilet paper or cleansing cloths coupon (follow the link to get your own!) and made a trip to Rite Aid the day before this whole ordeal started! Do you have other ways to feel better when you have tummy troubles? #5 makes me giggle, but it’s absolutely true. When you have an upset stomach and sandpaper toilet paper, it’s not a good combo. Love reading everyone’s comments and suggestions. A tummy ache is no fun! Good tips! I always try to make sure to stay hydrated. Cottonelle is my go-to brand! iboprofen helps keeps the cramps away! THis post could not have come at a better time for me. My tummy has been hating me since last night. Oh. Yuck. No bueno. I have bitten into something yucky before and my stomach turned also. Great tips for how to ease an upset tummy. 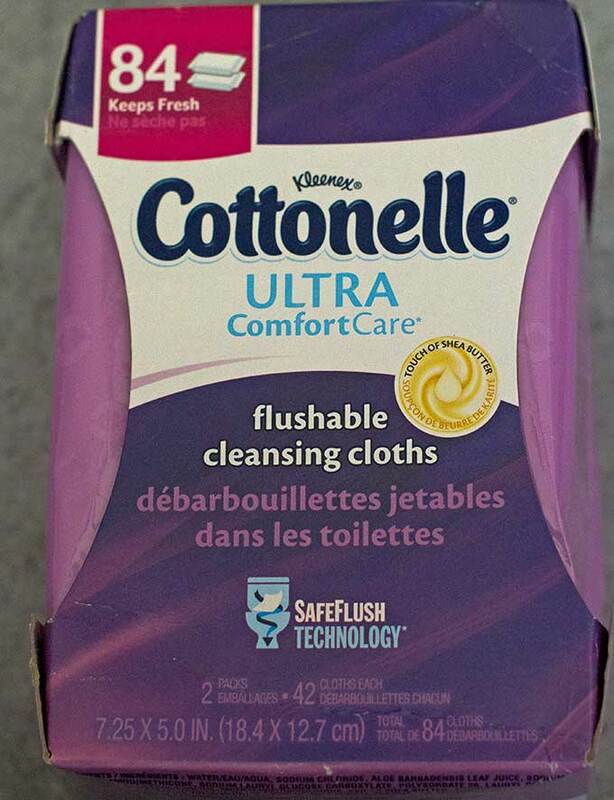 btw… love their wet flushable wipes! There is nothing worse than having a stomach ache! I agree that keeping hydrated is KEY! #1 is soooo very important! I think biting into uncooked chicken is my nightmare scenario. The BRAT diet is awesome info for upset tummy. Great tips. Great tips! We like to use DiGize or Peppermint essential oils too! We love Cottonelle. The wipes are great to keep around for potty training. Those are good tips. I agree, keeping my mind off my tummy really does help!! Cottonelle is one of our favorite brands. It is a good product at a good price. When you are having tummy issues, those wipes are GODSENDS. Honestly.